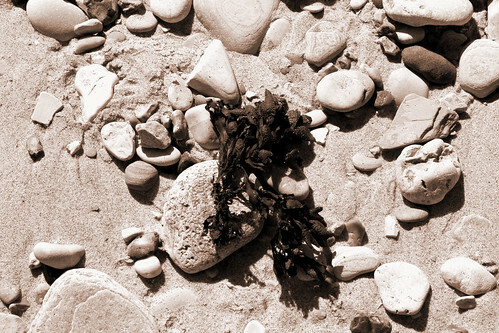 pebbles and seaweed, originally uploaded by Sam Judson. Doing some house keeping and came across these shots taken at Marsden Beach last August. I really love this one and it made me feel all warm and summery again.